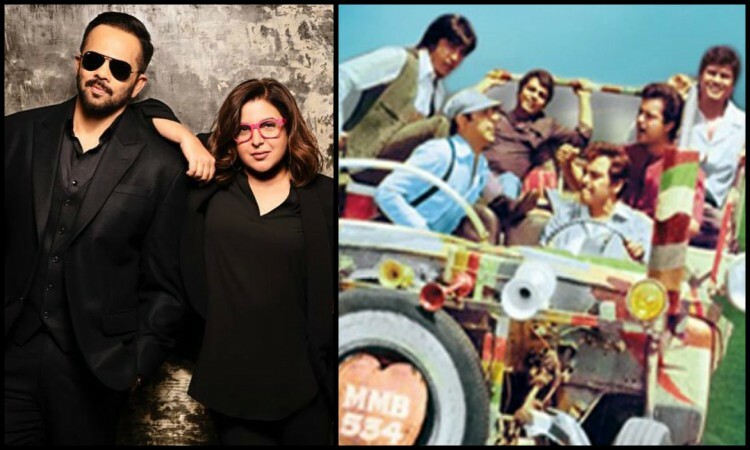 The month of February brought good news for Bollywood movie lovers, the news of Rohit Shetty and Farah Khan collaborating on a big project. The filmmaker will be the producer whereas Farah will helm the film. While there were speculations that the project will be about a lady cop film, Rohit had denied it. But, now it seems like we are getting a remake of one of the iconic films of Amitabh Bachchan. Yes, you read it right. We might be getting a remake of Satte Pe Satta. Earlier, it was reported that there was a tussle to get the rights for Satte Pe Satta, the Raj N Sippy directorial which was itself a remake. Rohit Shetty won't proceed before getting the rights of the film. But, the project will be his trademark style which is larger than life. Satte Pe Satte (1982) was an adaptation of the American musical film Seven Brides for Seven Brothers, a story of seven brothers and how their lives turn for the better when their eldest brother gets married. It featured Amitabh Bachchan, Hema Malini, Amjad Khan, Ranjeeta Kaur, Sachin Pilgaonkar, Shakti Kapoor, and Kanwaljit Singh amongst the many others.